The Venezuelan government might soon be banning baby bottles in an effort to encourage breastfeeding and to keep infants off of formula. 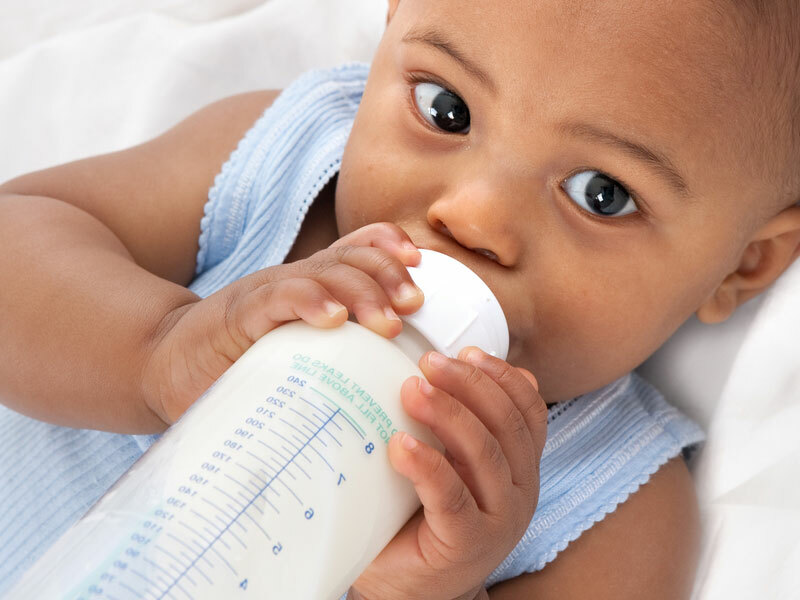 Shocking though it may seem, the proposed legislation would prohibit the use of all types of baby bottles as a way to improve childrens’ health and encourage the close bond between mom and baby. “We want to increase the love (between mother and child) because this has been lost as a result of these transnational companies selling formula,” legislator Odalis Monzon of the Venezuelan Socialist Party said on state television on Thursday as reported by Reuters. Monzon also mentioned that the Law for the Promotion and Support for Breastfeeding, passed in 2007, did not establish any sanctions for using formula. Exceptions to the proposed law will be outlined by the Health Ministry and offer plausible flexibility in the event of a mother’s death or an inability to produce enough breast milk for proper nourishment of her child. What say you moms? Do you commend the efforts to ban baby bottles or do you scoff at the interference of government on personal parenting choices? I'm a huge fan of breastfeeding, but supporting breastfeeding requires a strong foundation of supporting MOTHERS to make choices freely. The news media are totally distorting the position of the Venezualan policy makers in on this issue. If you are truly interested in the support of breastfeeding, look deeper into this story. This law is not about punishing or limiting Mother's choices, it is about preventing corporations from pushing formula and interventions in baby and mother bonding. Please do not publish false, tabloid like lies like this story. That's what women did long ago and it's natural and nothing to be ashamed of. It does not indicate economic status either. But when coming up with bans like this they had better think it through very carefully. Babies will need one full year of uninterrupted nursing. What's a mom to do if she works for example? How would the daycare providers feed these babies? What about adoption in Venezuela, if a baby is adopted what's the adopting parents to do about feeding? Women's bodies were designed with the natural ability to nourish her infant for one or two years. By the end of the first year the baby is weaned and eating solid food. With the insidious advent of GMOs in the food supplies, even infant formulas have been affected. With no labeling required people really don't know what is in that formula. Children are having higher incidents of allergies and in some cases unexplained illnesses. So breast feeding may be a healthier choice for future generations of children. This also presupposes that all women have the luxury of staying at home to feed their babies all day. We are not all middle and upper class women supported financially by men. What about working mothers? Breastfeeding is not easy for everyone. Some mothers cannot breastfeed for many reasons. Some babies cannot feed due to certain medical conditions. In the past women had wet nurses or female relatives who could help if there were problems feeding babies. This does not exist now. In an ideal world the majority of women would like to be able to feed their babies without problems. This is not an ideal world. The fantasy that all woman should breastfeed their babies and that anyone who does not is a pawn of the multinational baby milk companies - is just that - a fantasy. Although I strongly support and encourage breastfeeding, not all mothers can. And I have to agree with a valid point others mentioned in the case of working moms who can not be with their babies 24/7 to nurse them.